Fighting game Injustice: Gods Among Us is adding another member of the Justice League to its roster. Zatanna, the pants-hating sorceress, will be introduced to Injustice later this month. Zatanna, like seemingly every other DC hero, is in excellent physical condition. However, her main asset in battle is magic. The first gameplay trailer shows her throwing playing cards, spitting fire and flinging energy bolts. She can also teleport or create duplicates of herself to get some separation from her enemy; that's a very good thing with a grappler like Solomon Grundy. Her super is a bit underwhelming. 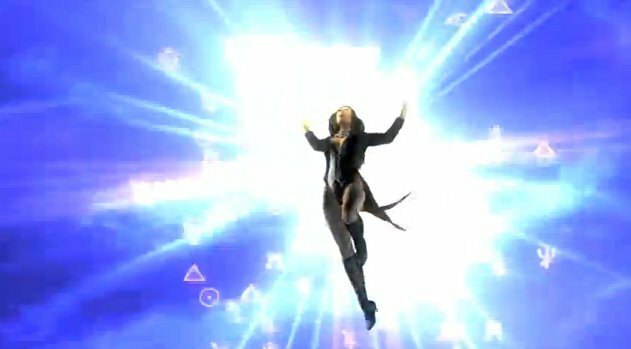 She transports her foe to some alternate dimension, turns them upside down inside a prison made of energy, and then slams them to the floor. I was expecting her to dig a bit deeper into her bag of tricks, to be honest. 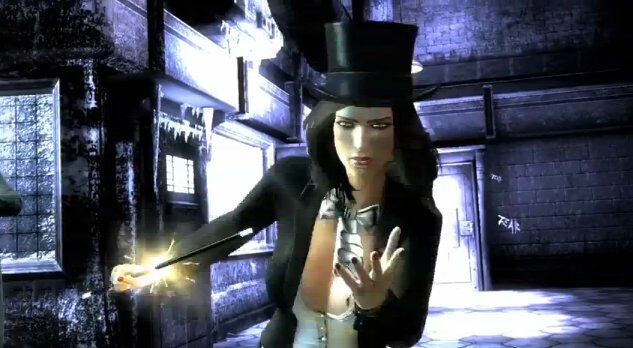 Zatanna is the sixth DLC character for Injustice. According to NetherRealm Studios boss Ed Boon, she won her spot by topping a fan poll. To those who were keeping track. 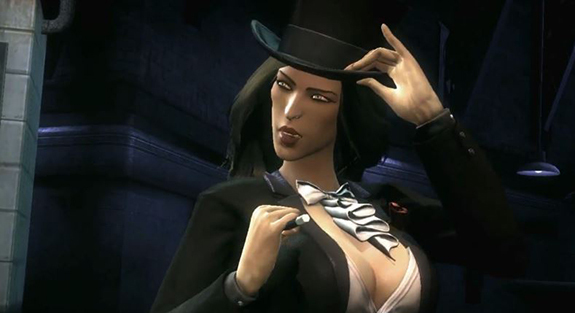 Zatanna was also the winner of the "unofficial" DLC poll. Followed closely by Static Shock. The only character more requested by fans was apparently Martian Manhunter, who was released for the game last month. I'm surprised they weren't released earlier but I guess half-baked Mortal Kombat cross-overs take priority. NetherRealm hasn't announced how many more DLC characters they'll release for Injustice. There are so many other DC villains and heroes they could theoretically add to the game. Fans were asking for Swamp Thing and Red Hood. The latter seems likely considering all the other Batman-related characters in the game. Me, I'm still holding out for Detective Chimp and Mxyzptlk.